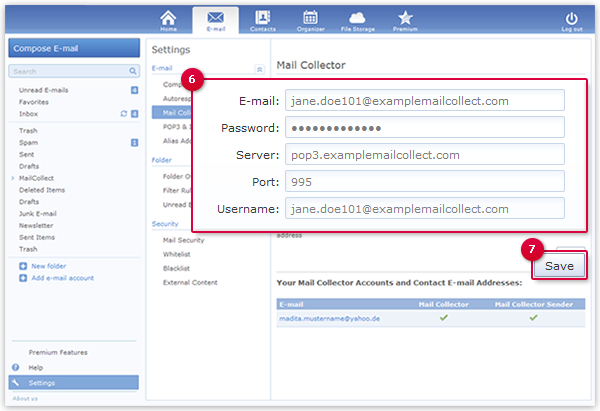 Using the Mail Collector will import e-mail of your old mailbox into your GMX mailbox. If you notice a configuration mistake, you can correct it afterwards. If the Mail Collector address should be used as the sender address when you reply to or forward the retrieved e-mail. The message "Your settings have been successfully saved." will appear. In this case, the Mail Collector has been created successfully. Additional input fields appear. In this case, more information is needed to create the Mail Collector, e.g. if you have your own e-mail domain. Proceed to step 6. Enter the server, port and user name. 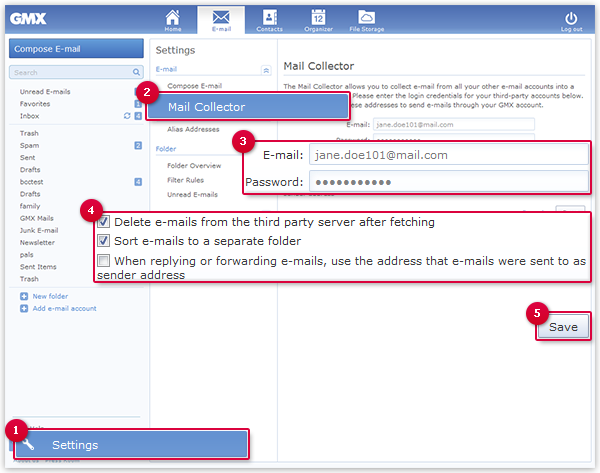 Move your mouse over the appropriate Mail Collector address and click the wrench icon. Change the relevant data and click Save. 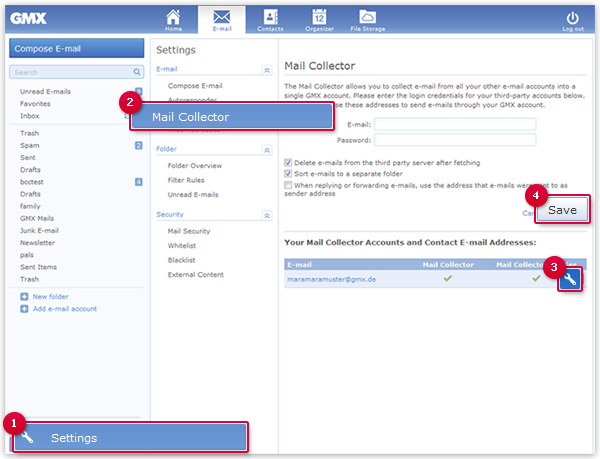 Move your mouse over the appropriate Mail Collector address and click the delete icon.